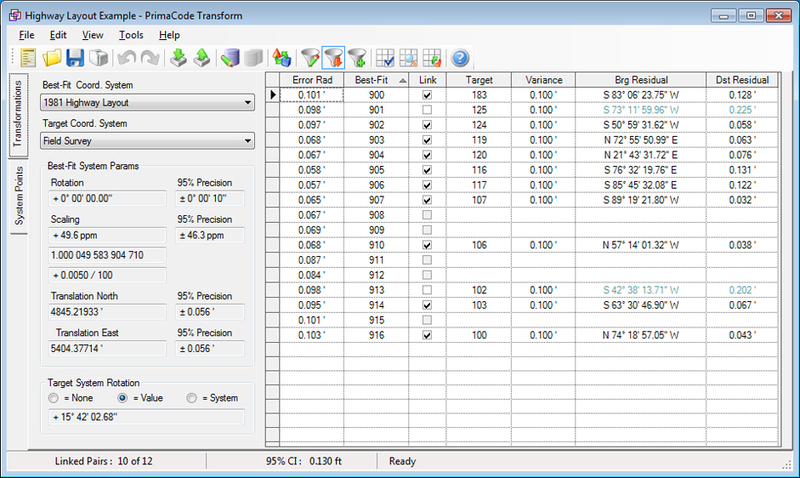 This view of Transform is highly customizable. It can display units of measure in feet or meters, it can show additional columns such as point descriptions for either system and it can show northing and easting residuals (errors) rather than bearing and distance. 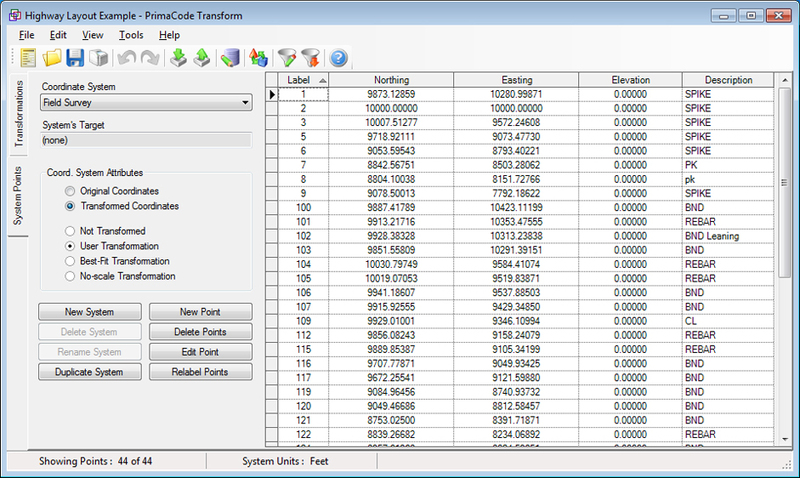 This view of Transform simply lists original coordinate values or transformed coordinate values. It also alows the user to modify individual points, delete, points, delete systems or create new systems.